I’m so excited to share with you my very first review! 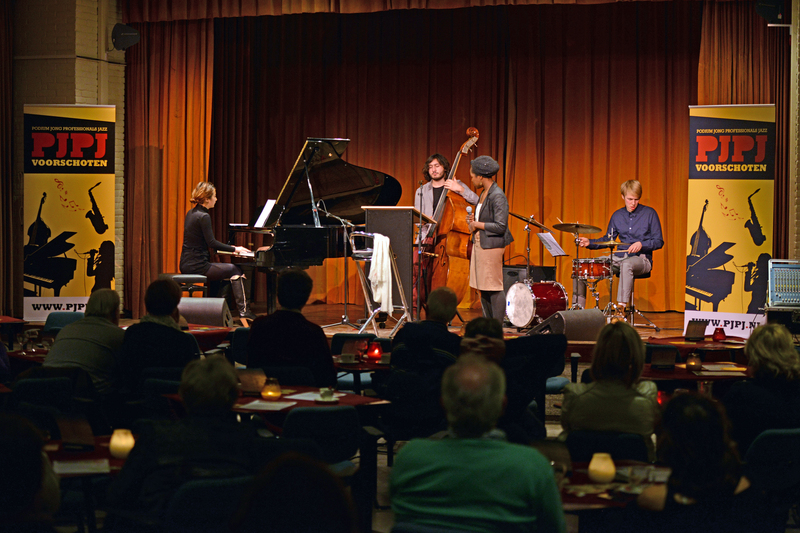 It’s of the concert that I did with my quartet earlier this month in Voorschoten, organised by Podium Jong Professionals Jazz (PJPJ). I believe they are the only organisation in the whole of Holland that try to promote young and unknown jazz musicians. I am so grateful that they invited me back a second time to play, this time at the Cultural centrum in Voorschoten. I had such a great time and I’m glad that the audience shared that feeling with me.